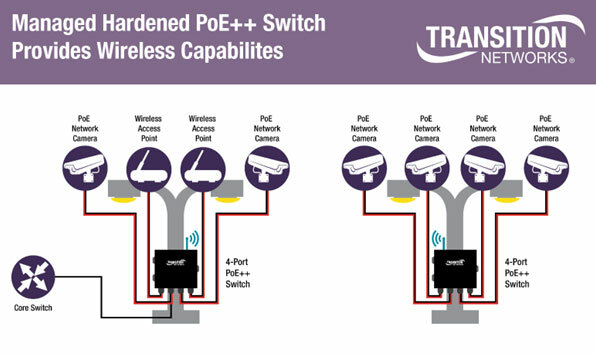 Today, we introduced the first managed PoE++ switch with wireless capabilities for network extension and easy installation. The newest in our diverse family of switches, the Gigabit Ethernet PoE++ Switch is ideal for connecting security & surveillance systems, lighting, and digital signage. This unique self-enclosed switch features Bluetooth, Near Field Communication (NFC), and point-to-point wireless capabilities to make installation, access and network extension easier than ever.